Looking for a job in Clark County Indiana? 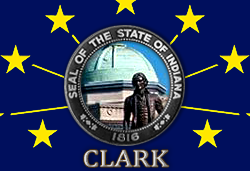 This Clark County Indiana job guide is a resource for job seekers looking for legitimate employment opportunities in the region with an emphasis on government positions, top healthcare employers, public school careers, and major job boards. Clark County Indiana periodically posts job openings. Check their site for current listings. The City of Jeffersonville posts employment opportunities when vacancies become available. Applications are available for permanent employment, seasonal, and internships. Open positions found on this review date had included Technician: Collection Systems Operations & Maintenance, Technician: Laboratory and Plant Operator, Animal Control Officer, Police Officer, Seasonal Event and Facility Worker, Lifeguard, Shallow Water Attendant, and Diesel Mechanic. The Town of Clarksville had been hiring for the positions of Human Resources Department - Benefits Coordinator, Wastewater Collection System Laborer, General Laborer, Police Officer & Reserve Officer, Police Department - Records Clerk, and School Crossing Guard. Check for updates. The Town of Sellersburg periodically hires. Kentuckiana Medical Center is a top rated medical center with a variety of ongoing employment opportunities. During review there were open positions available for Operating Room positions, Critical Care, Telemetry jobs, Med Surg Nursing Jobs, ER Jobs, and PRN positions. Wellstone Regional Hospital is a 100-bed psychiatric hospital for children, adolescents, adults and geriatric patients. During review there were postings for Registered Nurse Per Diem, Licensed Practical Nurse LPN, Certified Nursing Assistants CNA's, Mental Health Technician, Food Service Worker PRN, LPN PRN Needed, Mental Health Techs PRN Per Diem, WANTED PRN Registered Nurses, and Weekend Part-Time Phlebotomist. Clark Memorial has been recognized for excellence in employer practices and offers competitive benefits. During this review there were a number of open positions available such as New Graduate Registered Nurse RN, Licensed Practical Nurse LPN, Registration Rep, Radiology Tech, Controller, Clinical Dietitian PRN, Employee Health Nurse RN, Registered Nurse RN NICU, PRN Nursing Jobs, Registration Rep, Food Services Catering Associate, OR Nurse RN, Registered Nurse RN Labor & Delivery PRN, Nurse Tech PACU, Behavioral Health Jobs, Registered Nurse Med Surg, Nurse Aide CCU, Phlebotomist, MRI Tech, RN Med Surg, Nurse Orthopedics RN, Registered Nurse RN NICU, Environmentalist, Mental Health Tech, Mental Health Tech Adult PRN, Mammo Tech, Scrub Tech, Respiratory Tech, Oncology Nursing Job, OB Tech-Labor & Delivery PRN, Pharmacist, and Pharmacy Tech. nation's largest providers of post-acute care, including skilled nursing rehabilitation facilities, long-term care facilities, assisted living communities, independent rehabilitation facilities and long-term acute care hospitals (LTACH). Help enrich the lives of seniors across the United States by becoming part of the Capital Senior Living team. American Senior Communities had open positions for Registered Nurse RN, Licensed Practical Nurse LPN, Maintenance Supervisor, and Social Services Assistant. Clarksville Community School Corporation periodically posts employment opportunities for certified teachers and support staff. A survey of open positions included jobs such as Instructional Assistants, Substitute Bus Driver, Bus Monitor, Substitute Bus Monitor, Temporary CCSC Music Instructor, and Substitute Cafeteria Assistant. Greater Clark County Schools is largest of three school districts in Clark County. Jobs found had included Administrative Assistant, Certified Positions, Custodial Jobs, Bus Monitor, Cafe Monitor, Cafe Worker, School Custodian, Dance Instructor, Special Education Jobs, Special Education Paraeducator, Kindergarten Teacher, Pre-K Teacher, Pre-K Special Education, Special Education Emotional Disability Paraeducator, Bus Driver, Elementary Teaching Jobs, English Teacher, Science Teacher, Principal, Math Teacher, and more. West Clark Community Schools was hiring for the positions of Substitute Teachers, Licensed Teaching Assistant, Special Needs Intensive Intervention Assistant, Cafeteria Worker, School Nurse LPN, Specialized Licensed Teaching Assistant, Title I Instructional Assistant, Vehicle and Equipment Maintenance Mechanic, Math Teacher, and Preschool Coordinator. Contact Rock Creek Community Academy to inquire about employment. Community Montessori had been hiring for the position of Lead Elementary Montessori Teacher. Our Lady of Providence High School was hiring for the positions of Cafeteria Worker and Softball Coach. Check for new listings. Ivy Tech Community College hires instructional and support staff. Positions had included various Adjunct Faculty Jobs during this review. Work One provides employment referral services, adult education & literacy programs. IndianaCareerConnect is the #1 source of jobs in Indiana. Find a career close to home that matches your skills and experience or explore training opportunities to help you get the job you want. Search over 99,000 jobs located in your back yard for free! The Louisville Jefferson County Kentucky employment directory covers large employers in the region. Anyone wanting to participate in the Employment Services program must have a referral from Vocational Rehabilitation (VR). The New Hope Employment Services program assists individuals in selecting, obtaining, and/or maintaining appropriate employment in competitive settings. Employment Consultants will assist clients to develop a Plan for Employment, build a Resume, job search, and assist with the application and interview process. Amazon Fulfillment Center had open positions in Jeffersonville for Control Systems Technician, Studio Operations Manager, Sr. HR Assistant, Maintenance Technician II Military Veterans, Yard Specialist - Weekend Part Time 16 Hours, Onsite Medical Representative, and Maintenance Technician II. Shoe Sensation has an online application system. Here you can find open positions such as IT Programmer, Warehouse Jobs, Finance Jobs, Buyers and Merchandisers, Sales Jobs, Payroll Manager, Human Resources Jobs, Accounting Jobs, Inventory Accounting Analyst, and more. National Distributors Leasing NDL hires Class A CDL new drivers, owner operators, and professional drivers. They have an online application system. Summitt Trucking boasts a driver retention rate of 78%. During review Summitt was hiring for multiple Solo static lanes in Clarksville. Apply online or call 866-333-5333. Green Tree Mall periodically has open positions for Retail Security Officers, Retail Sales Associates, and Store Management jobs. Koetter Woodworking is always looking for enthusiastic and well skilled team members. Koetter is a one-stop source for mouldings, doors, stair parts, custom millwork, wood flooring, and more.